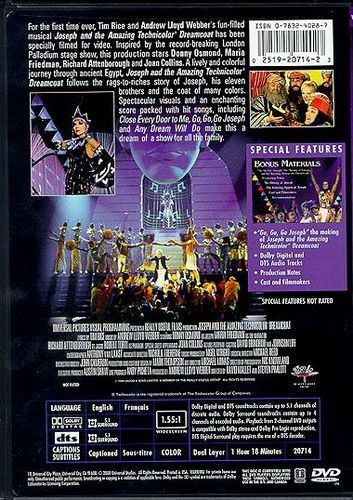 Based upon the Old Testament story of Joseph and his brothers from the book of Genesis, the musical Joseph and Amazing Technicolor Dreamcoat is entirely sung. 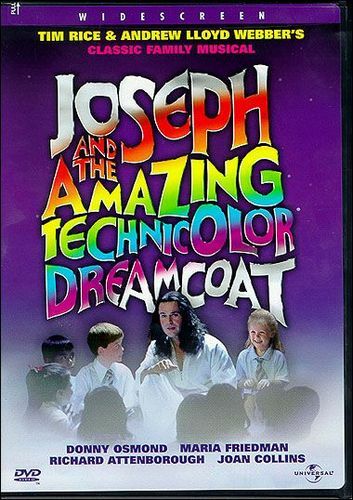 Joseph (Donny Osmond) finds himself despised by his older brothers, especially after his father Jacob gives him a beautiful coat. The brothers pretend to kill him but really sell him into slavery. When Joseph arrives in Egypt he is slave to Potipher (Ian McNeice). Mrs. Potipher (Joan Collins) has eyes for Joseph, but he declines. Potipher sees this and throws Joseph in jail. While in jail, Joseph uses his dream interpretation talent to his advantage. He soon becomes known to the Pharaoh (Robert Torti). Joseph rises from jail to one of the most powerful man in Egypt. Meanwhile, his starving brothers and their families seek aid from the Egyptians only to be reunited with the brother they once plotted against.